Crystal Case Apple iPhone 4/4S. Crystal cases, with their elegant appearance, manufactured from.. Protect your iPhone 4/4S with style, with this hard case. Made of durable material, it fits per.. Protect your iPhone 4/4S with style, with this Nortonline hard case. 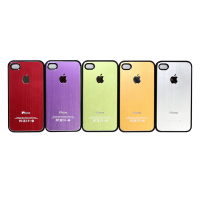 Made of durable material, ..
Stylize, customize, personalize and also protect your iPhone 4/4s, giving it a new look with th..